Note: All printed banners require a 2 week time for production. For banners on 2-sides of fence are $100 extra per banner. All sponsors will be listed on the Sponsors page of our website. Any Sponsor of $1000 or more will also receive a 728x90 leaderboard recognition banner on our website. 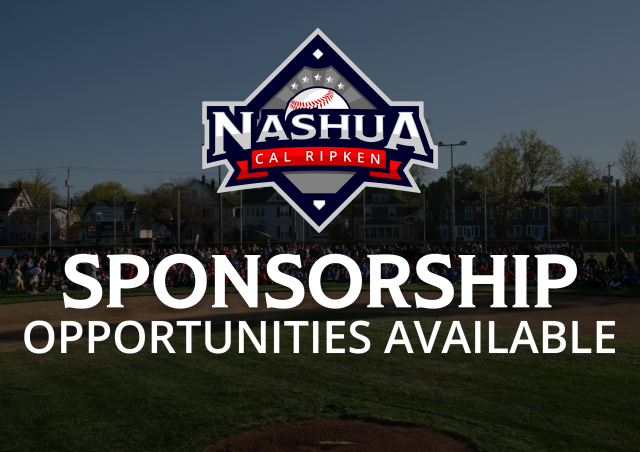 This banner will provide a valuable nashuacalripken.org SEO (Search Engine Optimization) backlink to the landing page of the sponsor’s choosing. Please note: All time-sensitive announcements will be taken down from the site & archived after the dates have past.